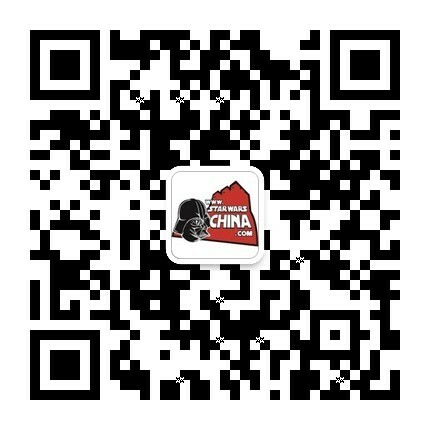 ﻿﻿ 企业同盟坦克机器人（Corporate Alliance tank droid） - Databank - 星球大战中文网 Star Wars China - Powered by Discuz! During the Clone Wars, the various signatories of the Confederacy of Independent Systems brought with them their unique droid armies to the Separatist fold. When Corporate Alliance Magistrate Passel Argente signed Count Dooku's treaty, he committed his droid tank forces to the cause. These units saw action in the very first battles of the Clone Wars -- on Geonosis -- as well as the final battles of that epic conflict, such as on Kashyyyk. The Corporate Alliance used its automated armored forces to muscle local populations into agreeing to its draconian development terms. When Alliance members complained about unfair business practices, or went against the Alliance charter through patent infringements or missed dues, the Corporate Alliance would typically respond with its euphemistically named NR-N99 Persuader-class droids. A hot-burning drive motor propels the central gripping tread that runs the entire length of a Persuader's frame. Flanking its long body are two outrigger treads that allow the tank to turn. These outriggers can also be fitted with mission-specific weapons, with common combinations including conventional ion cannons, homing lasers, and missile launchers. The outriggers also serve as running boards for droid infantry. The swift tank droid can be pressed into service as a short range recon vehicle, using its stereoscopic photoreceptors to evaluate terrain conditions or enemy fortifications. The tank droids have limited fire arcs -- all their weaponry faces forward -- so they are typically deployed in teams or as part of mixed-droid elements to provide covering fire. These tank droids can be thwarted by difficult terrain, such as ice and thick forests. It was commonly deployed in urban environments, where its weaponry and mass could batter down obstacles and buildings. When affixed with an intimidating vocoder, these droids can be very effective at routing out entrenched enemies without firing a single shot. 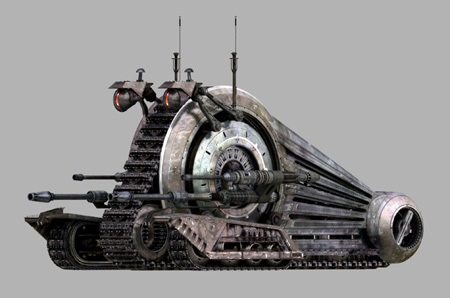 The Corporate Alliance tank droid, nicknamed the snail droid, was developed late in the production of Episode II as one of the many droid types unleashed onto the Geonosian battlefield. Although elaborate animatics of the tank droids in action plowing through clone trooper lines were completed, these shots were ultimately left out of the final Clone Wars edit. The tank droid returned for Episode III, making it into the cut as vehicles seen on Kashyyyk. For these sequences, a battle droid pilot was included inside the droid, suggesting that it was not an entirely automated vehicle.